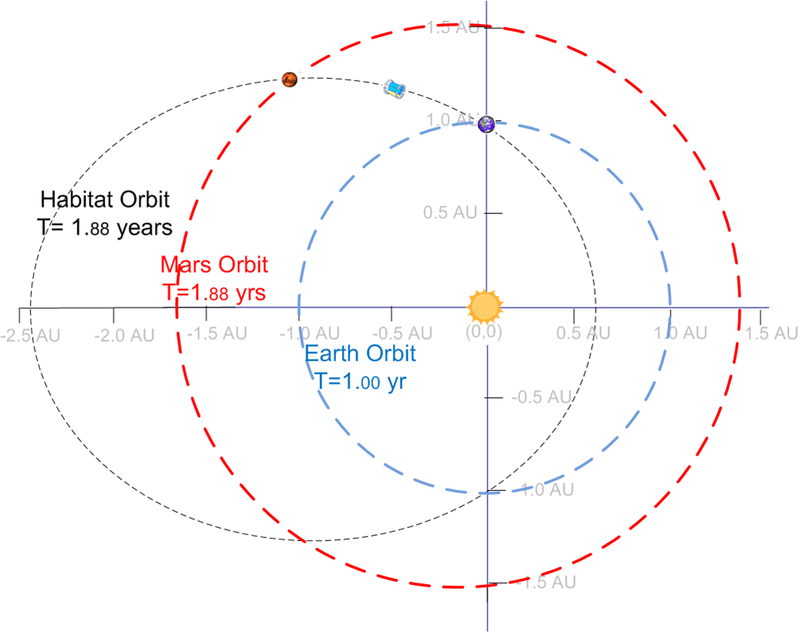 T= 1.68 years, Cycler shares same period as Mars, rendezvous with Mars at same orbital position once per orbit. (for more, see "Marsonance"). 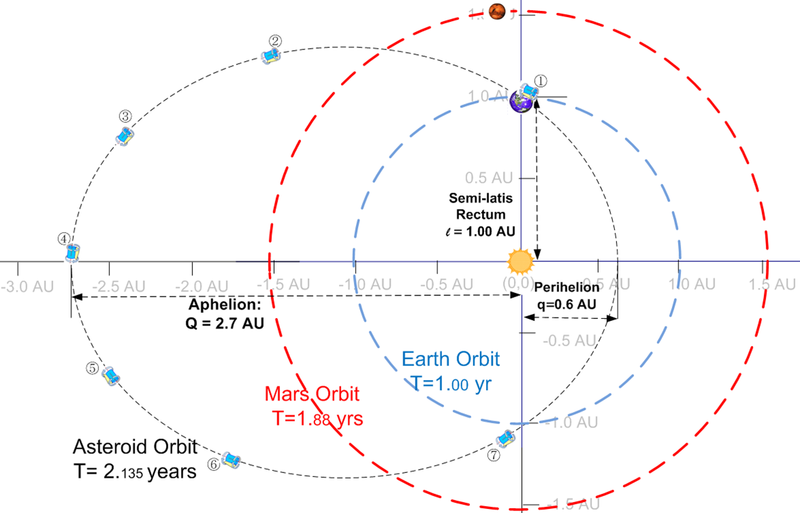 guaranteed rendezvous with Mars once per Martian orbit. T=2.00, Earth Resonant cycler. Same date, every two years, returns to Earth, guaranteed rendezvous with Earth every 2 years. 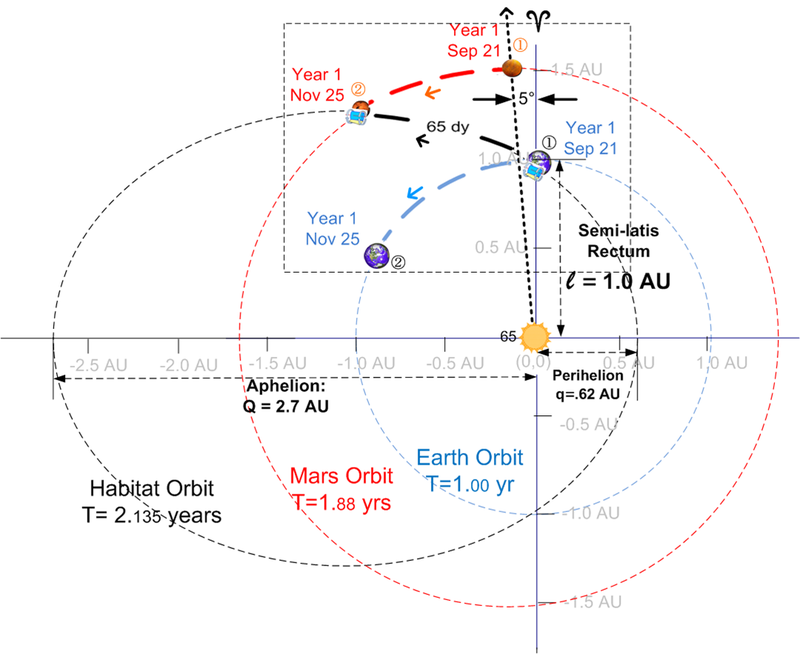 NOTE: could add another habitat exactly one year after current one. 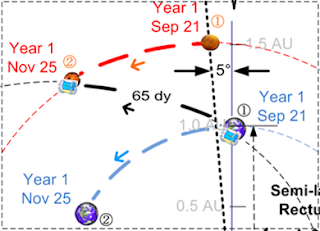 Thus, Earth would rendezvous with a habitat once per year. 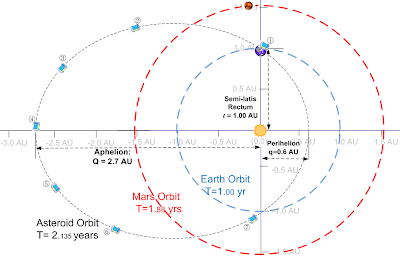 Every 2.135 years, Mars and Earth achieve same spatial relationship; thus, Earth dwellers observe Mars in a synodic orbit with period of 2.135 years (about 778 days). 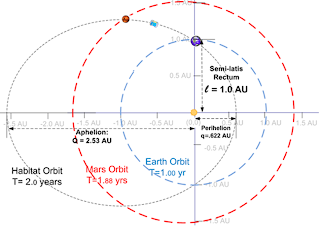 ①In an ideal situation, habitat will first rendezvous with Earth with Mars leading by about 5°. 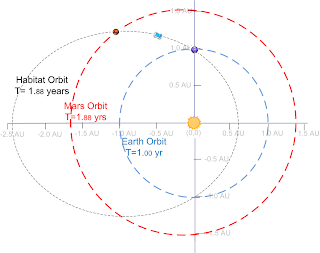 As habitat continues its orbit past Earth, Mars continues its orbit to its interception point as shown. 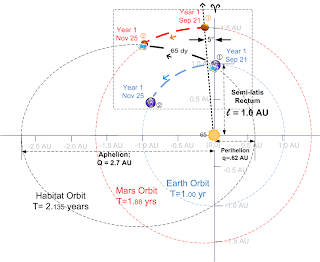 ②About 65 days later, habitat and Mars both arrive at interception point for another rendezvous. 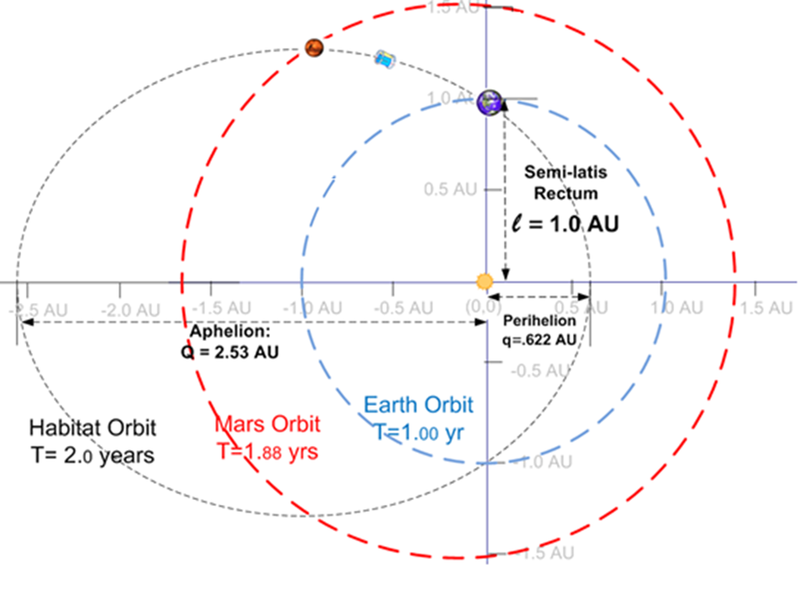 HABITATS CAN CYCLE FORWARD TO MARS "MARSONANCE".